Solver's Accounting Software is a new generation; easy to use accounting system with user-definable account structures. Zooming facility is provided from the balance sheet up to the basic voucher, which will help the user to track a small entry. Search engine is provided for easy access to any vital information. Faster and easier user-definable reports allow the user to create a new report. The user is able to take any report at any specific date. The previous year data is also available for reference. Configurable security level provided to restrict a user to a particular portion. A user log is maintained by the system and each user activity is recorded. Exporting facility to common data formats like word, excel, pdf, html, etc. Solver Accounting Software Provides a graphical tree structured and flexible chart of accounts. The Accounts Tree offers the most convenient way to manage accounts. You can Group, ungroup, and regroup your accounts, change account specifications, modify or delete them at any time. You can create multiple levels to group your accounts, exactly the way you want them. And not merely accounts - you can manage your customers and suppliers all in the same manner. Think of a simpler way of browsing through your accounts. Windows platform makes it real. Graphical interface makes it easier to navigate through out the system. 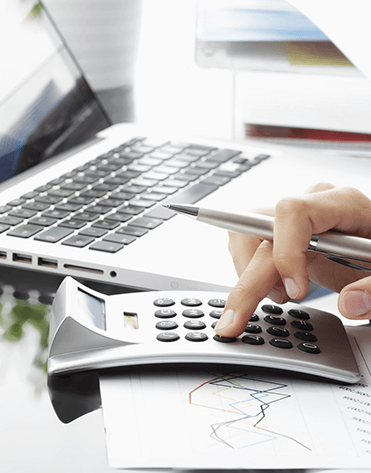 Solver Accounting Software is designed to be easily understood and used by the ordinary man. Consistent screens, logically divided information, and toolbars and shortcuts, make working on Solver a real pleasure. Solver allows you to open and work in multiple windows simultaneously. So, while entering a transaction, you can open a new account, and keep an eye on its impact on the ledger or report - all at the same time. Modular & upgradeable design helps to integrate different modules seamlessly together, and eliminate any need for duplication in data entry. Solver takes care of the budgeting module in a much more professional way. The budget amount can be specified either account wise or project wise. The budget figure can be either specified as different amounts for different months or the proportionate. The user also has the provision of setting the maximum credit limit for a customer or supplier. When a transaction exceeds that limit, the system reminds the user of his limit. The user can hold the customer or supplier accounts for a certain period of time. Solver Accounting Software allows you to maintain accounts for an unlimited number of Projects, Cost Centers. Cost Centers are accounting entities identified within the company which have costs associated with them and which are monitored on a regular basis. Example for the same would be the various project sites of a construction company. Receipts and Payments through post-dated cheques are handled effectively by Solver. The user is reminded of the list of Matured Post Dated Cheques of that particular day. It also keeps a post-dated cheque register. Solver Accounting Software give you the most powerful reporting. You can manage all existing standard reports in Solver with the utmost ease. All reports are generated instantly. Solver also provides facility to export reports to word processors like Ms-Word etc. You can zoom the reports to any size. High-speed search engine is available throughout the system for finding any piece of information. Solver Accounting Software offers you many tools to help manage your business better and with ease. Tools like Margin Analysis, Aging Analysis, Audit Trial and Alarms & Reminders etc helps your organization to perform well. Solver Financials is best to work either on a network environment or on a single PC. Solver can perform on virtually any network in use today. Solver Accounting Software provides a comprehensive login based security system. The administrators can grand access control to the users. Multiple users can work on the system simultaneously and menus will be customized according to the user privileges. The user rights can be set upto the least level of entry. Solver Financials has many levels of security to keep stored data secure. All the data entered here cannot be accessed without authorization. Some businesses have unique needs, Solver is unique in that it can mold the base system to fit your particular needs. Modular design helps you to integrate any modules at any time. Solver is fully designed and developed in Sultanate of Oman. Solver is fully customizable according to the user’s requirement.